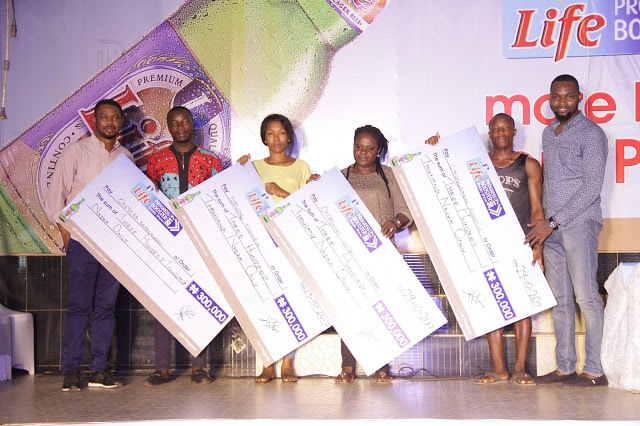 Ten entrepreneurs over the weekend in Awka received business grants of N300, 000 each to grow their businesses, from Life Intercontinental Lager Beer at its Life Progress Hour. 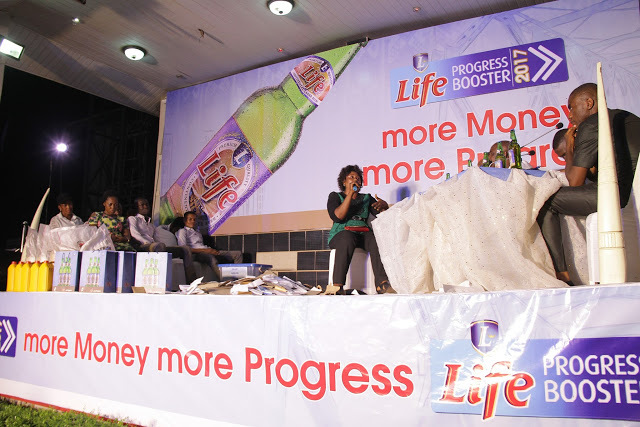 The event in the Anambra state capital brings the total number of entrepreneurs who have benefited from the Life Progress Booster in 2017 to 160. Since the start of the year, the Life Progress Booster train has also stopped in Aba, Asaba and Nsukka where entrepreneurs received business grants in like of N300, 000 each. Moses, 24, a textile printer in Asaba received the business grant during the Life Progress Hour show in the Delta State capital. Visibly excited, he explained how he heard about the show and decided to give it a try. “My dad heard the advert on radio and informed me. He has always supported my business even though it’s still at its humble beginnings. Receiving this grant means a lot to me and my family, especially my dad and I am grateful to the brand for helping to make my dream come to life,” he said. Another recipient, Emeokeri Oke Rita, a cosmetologist was full of gratitude as she fell on her knees when her name was announced as a beneficiary. “My joy knows no bounds. I have been favoured through this platform and I am very happy. I have a growing business and with the funds I received, I will be able to boost my business and support others in my own little way. The event in Awka which took place at the Coffi Premium Lounge on Sunday, October 29, 2017, reinforced the brand’s commitment to the progress of the people of the Southeast of the country. 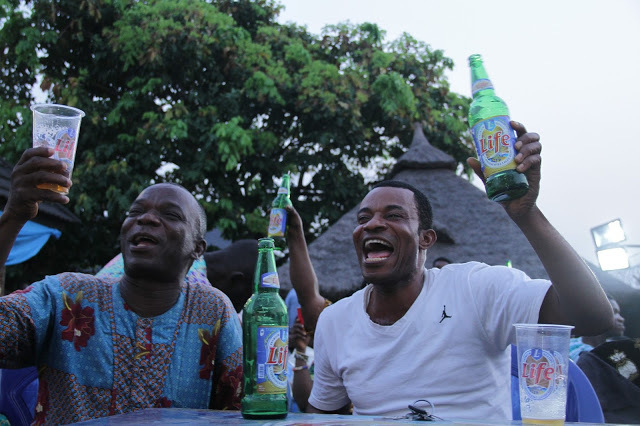 “The brand plans to support an additional forty entrepreneurs before the end of the year with the business grant”, says Emmanuel Agu, Portfolio Manager, Mainstream Lager and Stout Brands, Nigerian Breweries Plc. 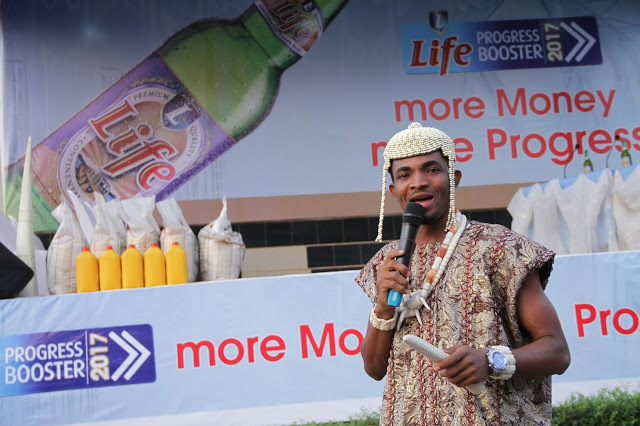 Guests at the Awka event were entertained by local traditional music troupes with consolation prizes presented to those whose proposals did not make it to the final stage. Winners of a raffle draw held at the venue also received prizes. The Life Progress Booster radio show airs on Hot 99.5 FM, Owerri every Saturday 7:30 – 8:30pm; Odenigbo 99.1 FM, Obosi every Friday 7:30 – 8:30pm; Family Love 103.9 FM, Umuahia every Saturday 7:30 – 8:30 PM and Solid 100.9 FM, Enugu every Friday 7:30 – 8:30pm. L-R Kenneth Ediale, Regional Business Manager Onitsha, Nigerian Breweries Plc; some recipients of N300, 000 grant and Rexanthony Anieke, Assistant Brand Manager, Regional Mainstream Brands, NB Plc at Life Progress Booster Hour in Awka recently. 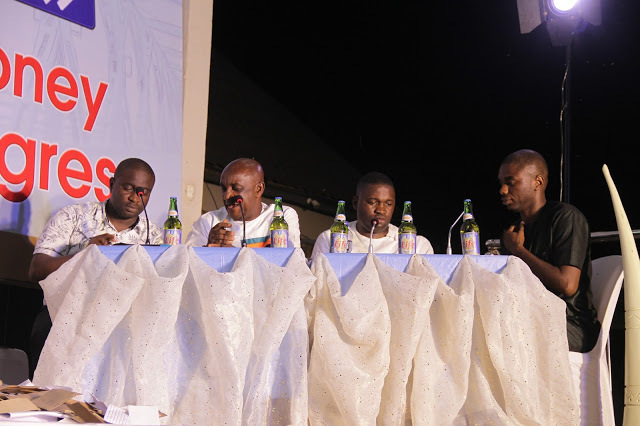 L-R Kenneth Ediale, Regional Business Manager Onitsha, Nigerian Breweries Plc. 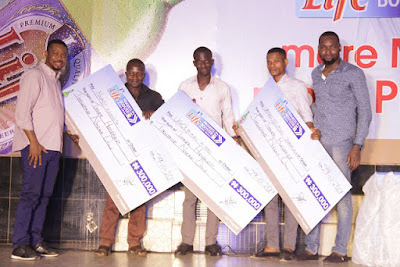 ; recipients of N300, 000 grant; Rexanthony Anieke, Assistant Brand Manager, Regional Mainstream Brands, NB Plc at Life Progress Booster Hour in Awka recently.